Is It A Good Idea to Take A Business Loan to Fund Your Start-up? Let’s say that you had an innovative, insightful idea, and you wish to establish a start-up. Nevertheless, in order to put your plans into motion, you require financing. And, unless you have a billion dollars at your disposal, you’ll need to come up with a solution regarding obtaining financing. In fact, this is one of the many challenges entrepreneurs have to surpass, along with economic uncertainty, which is a leading cause to business failure. Which brings us to the topic of our article: is it a good idea to take out a business loan or not? There are many reasons why taking out a business loan makes sense, especially if you wish to fund your start-up. In fact, business loans, credit cards and lines of credit represent approximately three-fourths of financing new firms use. Firstly, getting a business loan gives you immediate access to the money you need to make your plans happen. Many people choose to sell the equity in the company, as an alternative to taking out a loan. In this way, one can raise cash without the need to make repayments or pay incurring interest. Still, the obvious downside to this decision is that it will eventually dilute your ownership of the company, meaning that you’ll need to share your profits and rights. However, taking out a loan means nothing will change, ownership wise. What is more, taking out a business loan allows you to accelerate your start-up’s growth. Concurrently, you’ll have the financial capability to overcome cash flow challenges, if they emerge, which is rather common in the case of start-ups. Nevertheless, it’s worth noting that a lender won’t be willing to approve your loan application if the rate of success isn’t high. As a result, startup owners should approach lenders with comprehensive, detailed business plans, growth paths, clear business models, as well as projected returns. 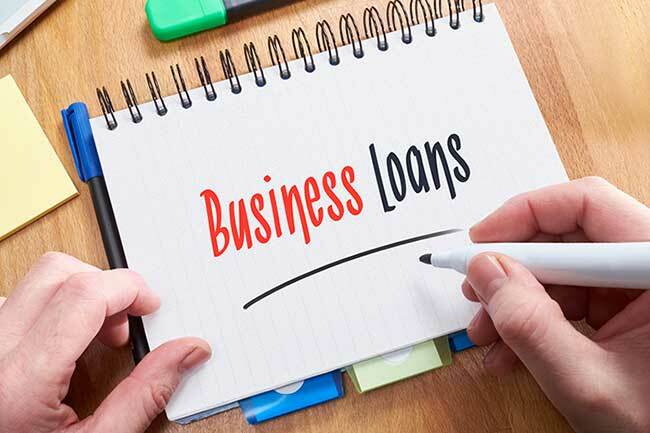 In other words, you should prepare yourself before applying for a business loan, in order to maximize the likelihood of having your application approved. Alternatively, you could consider getting personal loans instead, since the application process isn’t as time-consuming. At the same time, personal loans can be unsecured, in comparison with business loans that might require collateral. Considering that you don’t have a valuable asset you can place on the line, getting a business loan might be difficult. The good thing is that these aren’t your only options. Installment loans, such as the ones provided by Northcash Loans, for instance, are worth taking into account. This type of loan implies a number of fixed payments, being similar to personal loans. Nonetheless, before filing an application, note that such loans should be taken only if you are confident that you can repay them on time. Of course, online loans are just as good as any other alternative. Getting financing this way is time-effective, not to mention that online lenders tend to be more permissive when it comes to their eligibility criteria, which could be a good thing. On a final note, getting a loan to finance your start-up could be a good idea, as it grants you the monetary resources to establish your firm. However, before you make your choice, analyze various financing alternatives, to ensure that you’ve picked the right one for your situation.